The Best Place to Get Low-Priced cPanel Licenses. Enhance your business using complimentary RVskin & RVsitebuilder. clients to use cPanel & WHM with its rich feature set. create the incredible websites easily. Get more control over your business. 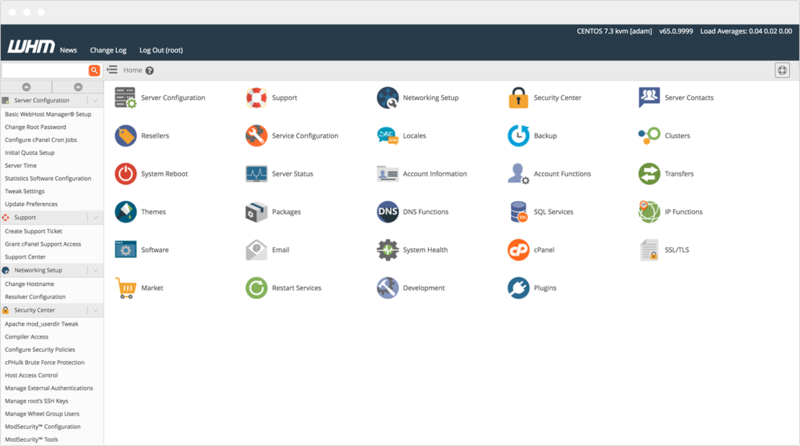 cPanel & WHM® is a suite of tools built for Linux OS that gives you the ability to automate web hosting tasks via a simple graphical user interface. It removes the complexity of creating advanced server configurations and comes equipped with automatic updates, built-in backups, and all the tools you’ll need to get up and running. Its goal — to make managing servers easier for you and managing websites easier for your customers. Automate upgrades, downgrades, SSL deployment, and any of your billing needs to cut down on your overhead. Or, use the cPanel & WHM API to create custom scripts and programs to do any additional heavy lifting for you. Choose from hundreds of features either baked into cPanel, or available as third-party add-ons, to create unique packages for your users to choose from. Generate sub-user accounts for individuals in a company or an organization and grant full or limited access to Webmail, FTP, databases, or Web Disk. Create accounts, forwarders, and autoresponders as well as account-level filtering in Webmail and utilize calendars and contacts for personal and business needs. Develop and store MySQL and PostgreSQL databases and exercise full administrative control over the sub-user accounts that can access the information. Prevent malicious software from trying to muscle through your password security with cPHulk, a brute force defense system that protects your users, your accounts, and your machine. Limit spam from infiltrating your mail server with Greylisting, a tool that temporarily rejects unrecognized senders. customers the opportunity to grow. Easily transfer in new clients and customers with our cPanel to cPanel migration tool which can copy multiple accounts from a remote machine to your cPanel & WHM server. 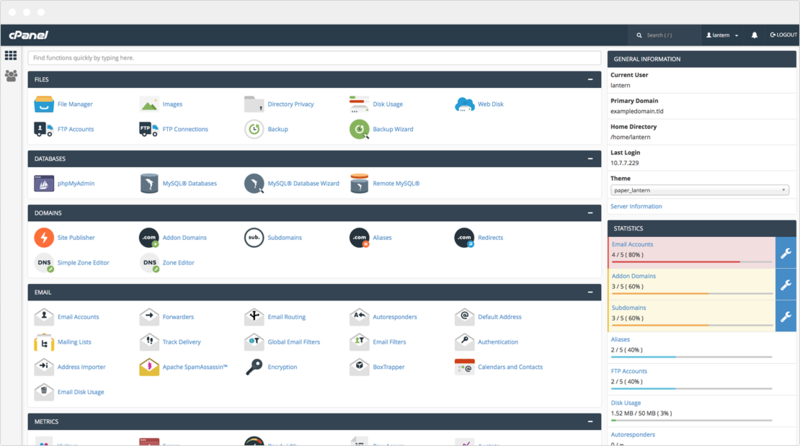 Customize the look and style of cPanel, Webmail, and select notifications to give your customers full access to an industry standard control panel with the unique feel of your own brand.